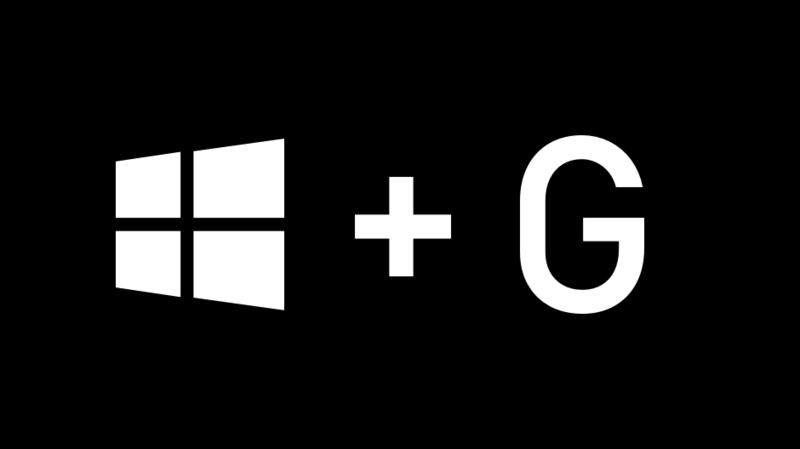 Microsoft has been working towards making Windows 10 the most game-centric version of Windows yet, with Game Mode and Game Bar certainly being steps in the right direction. In a blog post on Xbox Wire, Microsoft details how the Game Bar is about to get a lot more useful. In the post, Microsoft recalls earlier this year when it launched the PC Gaming Idea Drive to solicit feedback on how to improve gaming on Windows 10. Now, several new features for the Game Bar are being tested in beta and gamer feedback largely seems to be the catalyst for many of them. These features range from social aspects, performance metrics, UI customization, audio and Spotify integration, chatting, and even creating memes. For those with the Spotify app for Windows, there will be a new Spotify widget allowing users to integrate Spotify functionality into the Game Bar. This is supposed to allow users to control their Spotify media and volume, and even browse Spotify's catalog, right from the Game Bar. No need to Alt-Tab out of the game. Also, the new updates to the Game Bar allow for easier screenshots, and the ability to edit them without leaving the game. The new tools will let gamers edit the screenshots and overlay text, as to quickly turn them into the dankest of memes. They can then be shared via a connected Twitter account. New social systems will be rolled out as well, dubbed Xbox Social and Xbox Chat. 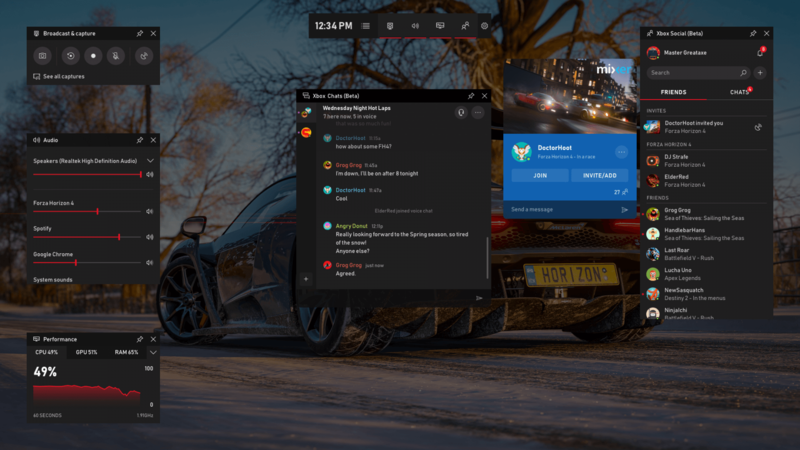 The new social widgets will sync friends lists and chats across Windows and Xbox One, in addition to the Xbox app on iOS and Android. There will also be a performance widget for the enthusiasts among us, affording the ability to track performance metrics for RAM, CPU, and GPU usage. Although, there doesn't appear to anything for tracking temperature or FPS. With the new widget based system, Microsoft contends that the UI is highly customizable and allows the user to tailor the layout to specific tastes or needs. This update will be available to users who are both on the Windows 10 October 2018 Update and part of the Windows Gaming Insider flight ring. As with all Windows updates, this one will roll out in broader fashion later on. Microsoft is still taking feedback on these features, but if you're keen to try them out, you can do so by launching the Xbox Insider Hub (you'll need to download the app) and enabling Windows Gaming Insider content. Microsoft has also teased big PC gaming plans for E3 this year. Now. Can we uninstall this bloatware as any other application? ypsylon, wiyosaya and BSim500 like this. Guarantee that this is in sRGB and will look bad in HDR. Microsoft needs to work on HDR badly. It can at least be disabled in Windows settings. Yet another thing in Windows no one asked for, nor actually cares about. It's the 3rd thing I turned off, aside from bullcrap advertisements and "help us improve" features (a.k.a. spyware) and Cortana. ypsylon, mcborge and wiyosaya like this. When did game screenshots and photo modes becomes so big? who sits around and looks at pictures of games anyway?